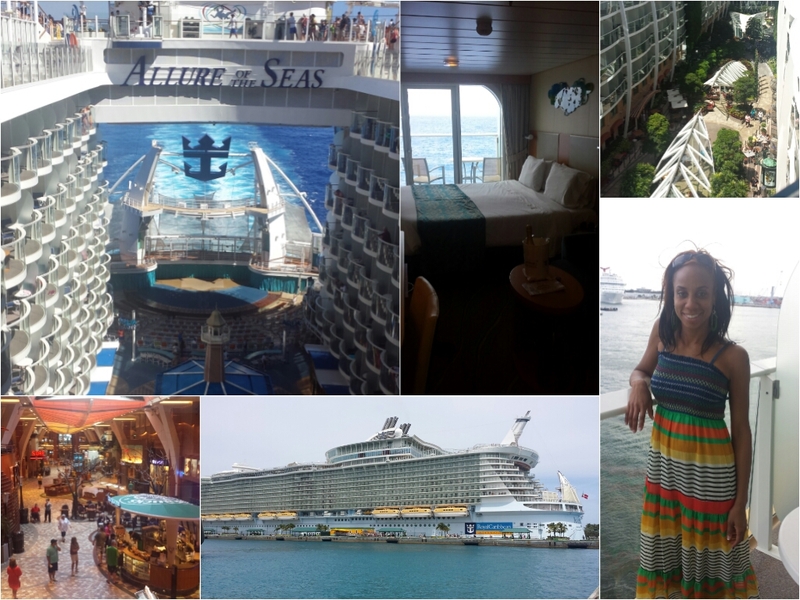 I embarked the world’s largest cruise ship in Fort Lauderdale for a 7 night journey to the Eastern Caribbean. The ship holds 6,318 passengers with over 2,000 crew to serve them. Not once did it feel crowded, even during spring break. This vacation is also the 20 year anniversary of my Senior Trip to Acapulco. I thank God for it all! The first night was comedy with Miguel Washington and Andrew Norelli. 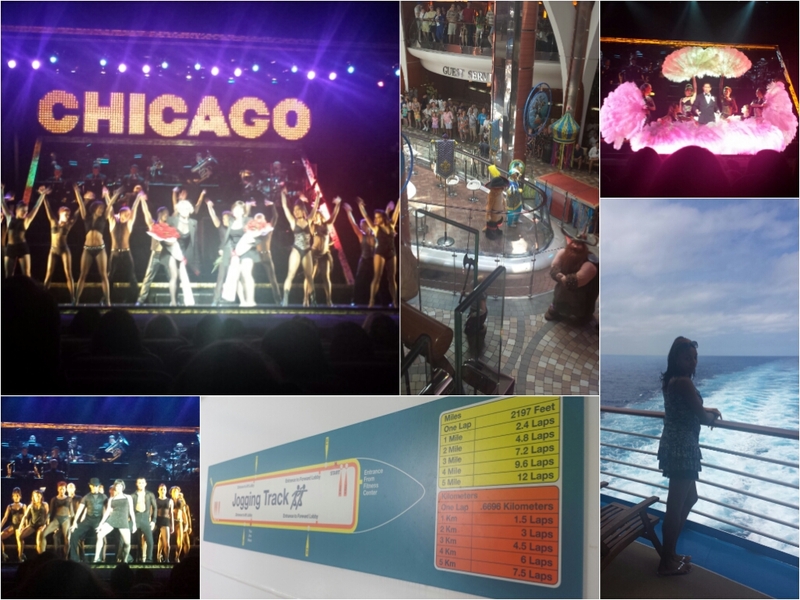 Monday, March 31- 189 miles to Nassau, Bahamas. 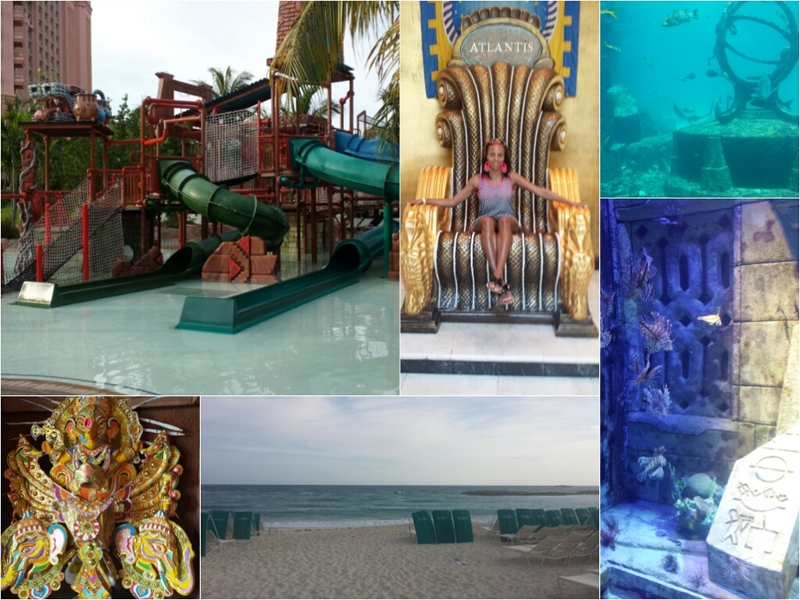 The kid in me chose the Atlantis Resort Aquaventure as my Paradise Island excursion. 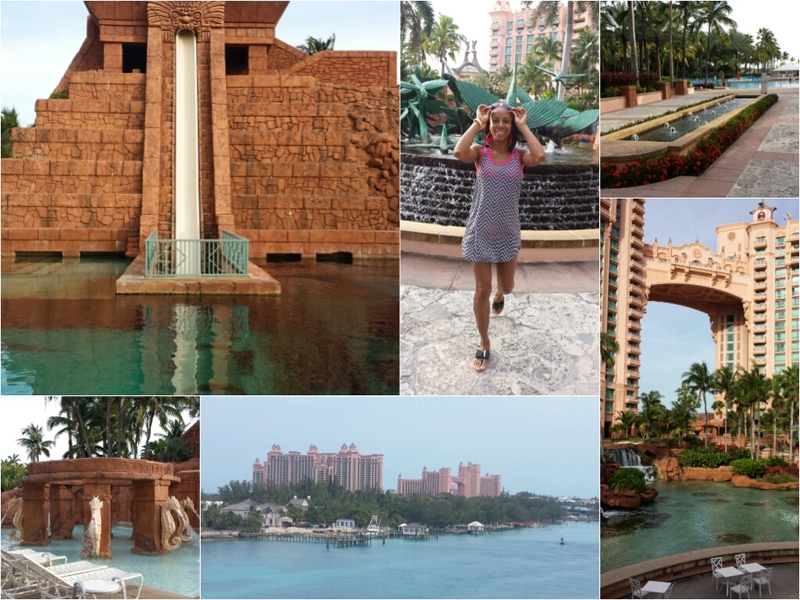 I experienced the best lazy river and water slides in my life! One mile of fast moving water that went through tunnels, caves, waterfalls and a mini coaster conveyor belt. 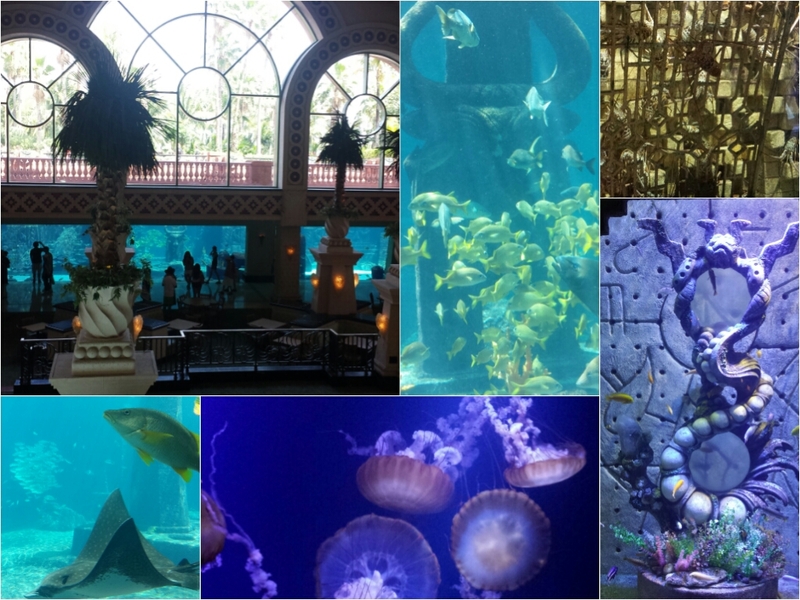 The architecture and layout of Atlantis is one of a kind. The aquarium was an added bonus. Back on the ship was the first formal night, Ocean Aria show and dancing in Club Blaze. I wanted to get to the lowest balcony of the ship for this photo. It happened to be on deck 4 which was the location of the track. I ran half way around in a dress and flip flops for fun. That was the extent of any cardio exercise. The Chicago show was first class. I wasn’t too impressed with St. Thomas. It’s a good thing I did research to plan a coastal cruise of St. John. St. Thomas Yacht Club which is home to the Rolex Regatta. Children start training at age 3! The most interesting sight was passing over 40ft deep water and being able to see rocks on the bottom. We finally reached the dock where I was sent to a taxi driven by “Puff Daddy.” All the taxis had cute themes. 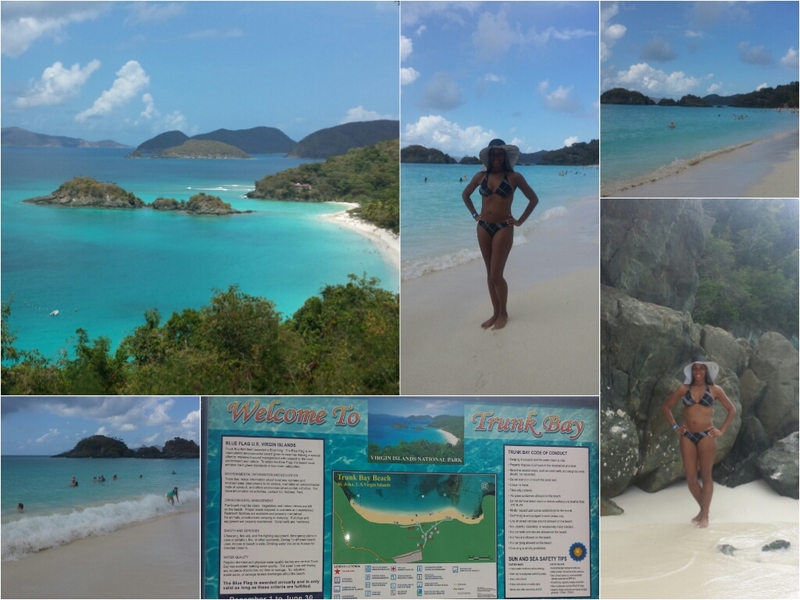 Puff Daddy drove us to the turquoise waters of Trunk Bay. I was equipped with snorkel equipment and underwater camera but I saw the tide beating the crap out of people so I didn’t venture out like I normally would. Back to the ship with a sun kissed skin tone. After eating a hearty meal, I checked out the Flow Rider Show. Extreme Zip Lining: This excursion was picked based on need for adventure. 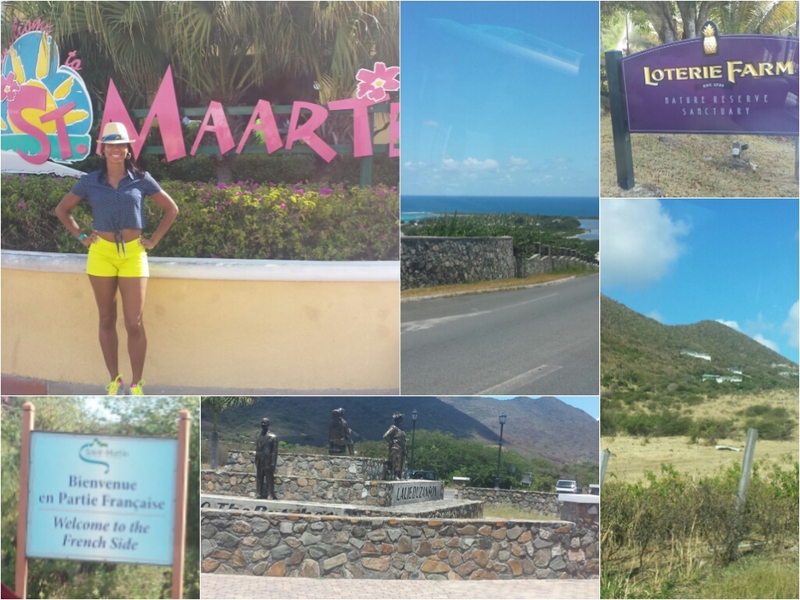 Our group was lead by a lady named Nikki who took us from the Dutch side of St. Maarten to the French side of St. Martin. • French side is 21 sq. Miles. • Dutch side is 16 sq. Miles but is more populated. • Places called Lolos sell the local food. Fruit is brought in from St. Lucia because it’s sweeter. We made our way to Loterie Farm way up in the mountains. We had to get off a bus and hop into a truck to make it up the hills. I was not expecting to be in such high elevations and I was not happy about it. We did not have helmets and the last thing I wanted was my freshly highlighted tresses snatched out on some cable. They gave me a rubber band but I was still nervous. The tour guides gave us a brief overview of safety features and pretty much let us go independently. I made friends with people who made sure I made it across the lines because they knew I was pissed. It took around 2 hours to cross 16 zip lines, walk cable bridges, climb and descend ladders at heights of 120ft and covering 930ft of lines. After a few zip lines, I started to appreciate the views and the thought of bragging rights for doing something so daring. One of my new friends wore a GoPro and I’m waiting for the video. 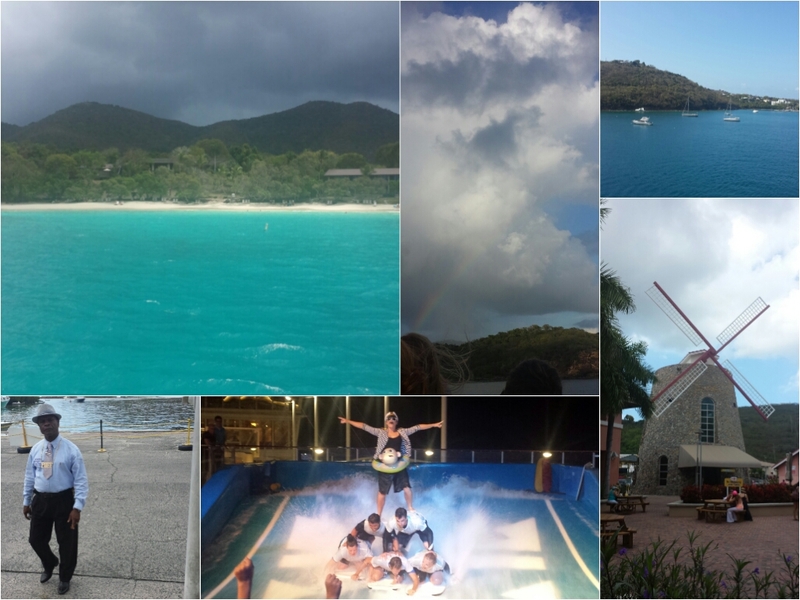 Nikki gave us an educational tour and pointed out St. Barts, Orient Bay, and Anguilla. St. Barts is one of the richest islands in the Caribbean with a burger costing $20. We had 9.5 hours on the island so we went back to the ship, ate lunch and changed. 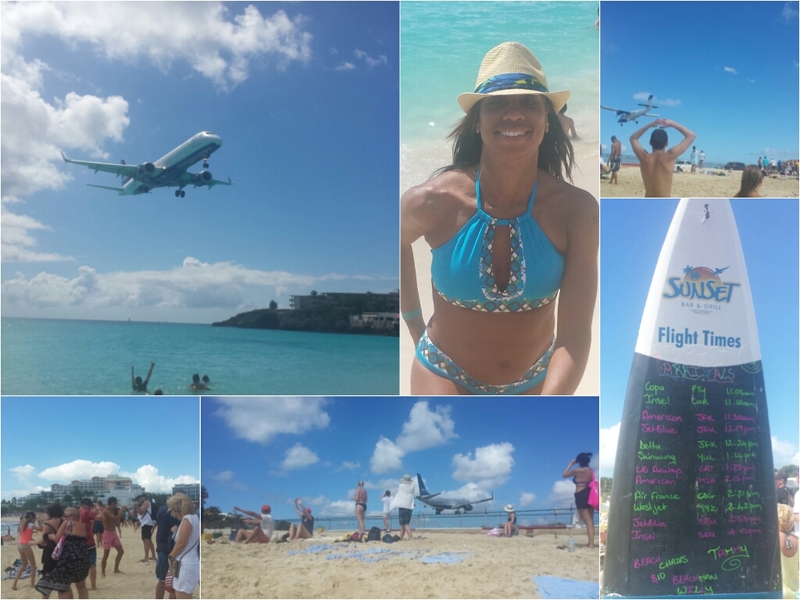 We caught a taxi to Maho Beach, better known as Airport Beach. It was not what I expected because the beach area was small and very crowded. Someone pointed me to a surfboard that listed all the flights and times. We got to watch 4 landings and 3 departures. It’s hard to get pics because the planes seem slow coming into view in the ocean. Once they get closer, you have a split second to get the best photo. On the departures, the wind from the engines dang near blow you over and the sand stings against your skin. Despite all that, I was standing there trying not to fall down. Some people held on to the fence for dear life. One of the tourists told me the best flights to see are the jumbo jets of Air France and KLM. He told me they clear the fence by 3 feet. Overall, Airport Beach was one of the best I’ve visited and I would love stay out there for a full day. The crowds started to clear around 3pm as people headed back to the ships. 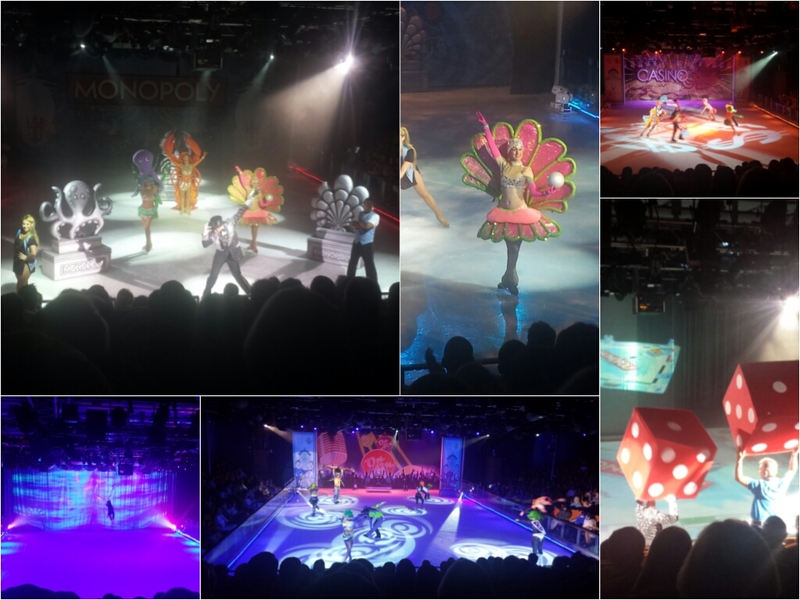 Back on the Allure, I was entertained by Ice Games. They opened with Michael Jackson music that got the crowd involved. 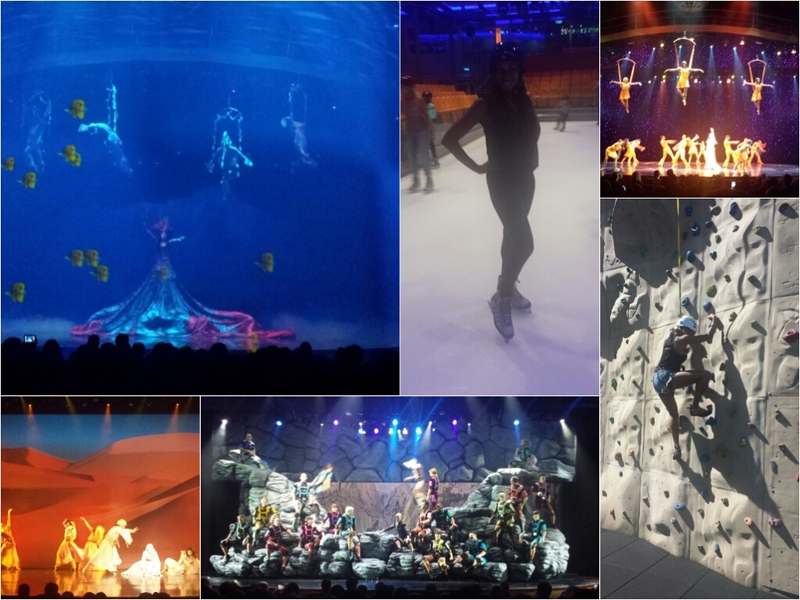 We had to leave the ice show early to attend a Crown & Anchor Recognition Party. You need 5 RC cruises to qualify. They had the drinks flowing like crazy and some of the cast members from Chicago performed. 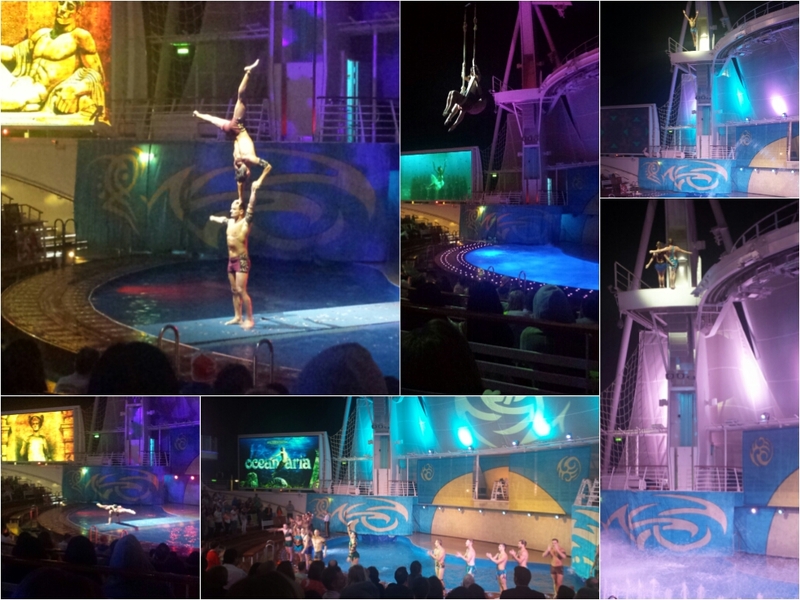 They gave us an overview of the Quantum of the Seas which will debut in the states in spring of 2015 out of New Jersey. The Allure is going to Europe in October of this year. The Quantum will feature larger staterooms, bumper cars, and roller skating just to name a few. 3 day sample cruises will be available early 2015. I was up early to eat breakfast and add a few shades to my tan. I found an area called Beach Pool that actually felt like I was at Clearwater. Eat, swim, eat, swim. Ice cream cone dispensers were located right in the middle of all the pools and I had all 3 flavors. This was our 2nd formal night and we walked around Central Park and took professional photos. They served lobster tails and shrimp for dinner. I had eaten all day so I didn’t bother with seconds. We stopped to watch an Aqua Show, bet on craps and roulette, and ended up in Dazzles club for Motown themed music. During the casino is when I realized that UK would play Wisconsin. There were plenty of UK fans on board too. This was the last day to get everything done on this 16 deck ship. We went ice skating then switched back to swim attire to lounge in the Solarium. Another change of clothes and I was unsuccessful on the rock climbing wall. Blame it on the French tip shellac. I couldn’t get a good grip. I was in beast mode after the zip lining too. It didn’t help. I made a 2nd attempt and belayed down. The night ended with a Blue Planet show. They had a desert and an underwater theme that took my breath away. Overall, having a balcony makes a world of difference. I will never cruise again with out one. I definitely want to stick with the larger ships. In port, the Allure was like the Bentley of the sea. The Royal Princess looked nice and so did Disney with their clear, tube waterslide on the top deck. I recommend MyTime dining for flexibility and private seating for dinner. Back to reality, but the experience will last a lifetime!!! 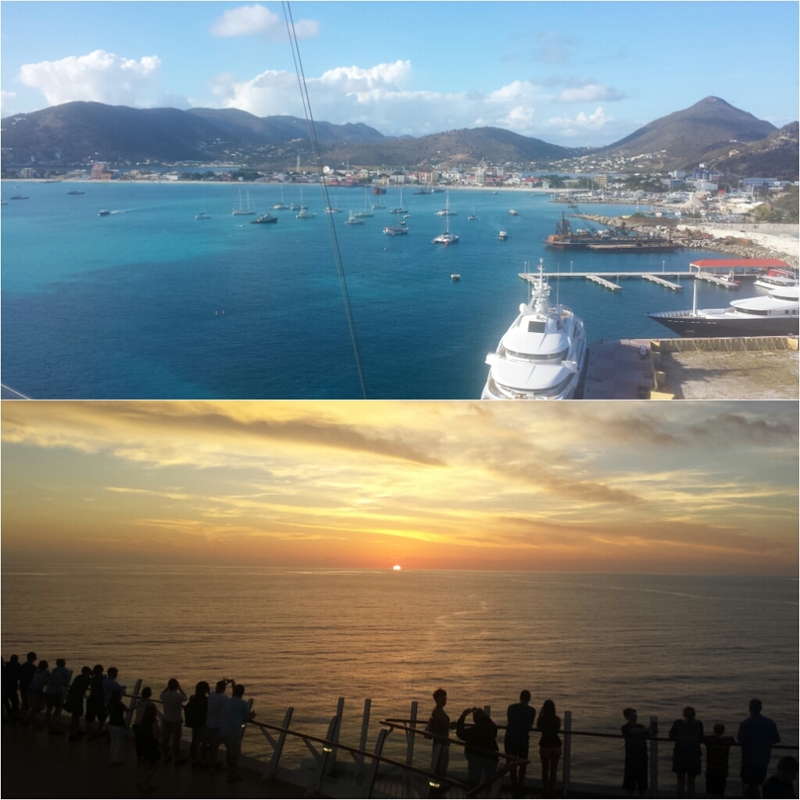 I’ve cruised Eastern and Western Caribbean. Next time, I want to fly to San Juan and cruise the Southern islands. Sky is the limit! 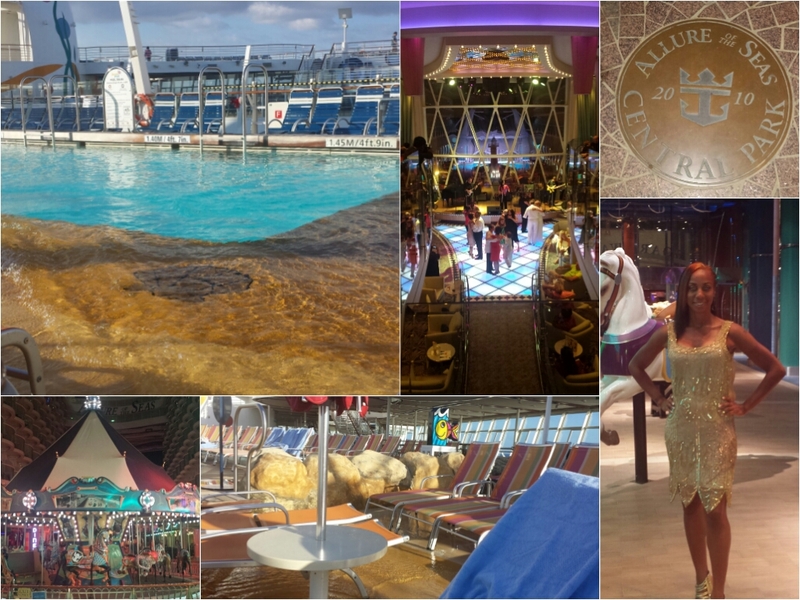 This entry was posted in Travel and tagged Allure of the Seas, Eastern Caribbean, Royal Caribbean. Bookmark the permalink. You, as always, look amazing!!! I love the joie de vivre you have for everything!! And ice cream dispensers in the pool. That, my dear, would be heaven to me. I can never say no to ice cream!! Looks like an amazing time! I didn’t skimp on anything food related. They had a pizza place called Sorrentos that stayed open til 3am. Wow, looks amazing! Love the collages. I gotta say though, on my Alaskan cruise, I had some amazing runs – 6 miles around the ship in Glacier Bay and also some stunning treadmill runs from the gym. Thank you. This post has taken the longest out of all I’ve written. The Allure had a wonderful spa and gym area. They offered morning yoga and spin class but I didn’t partake. I was too busy eating. Hot mama! Looks like an amazing vacation!! Thanks! I know you are ready for your PR bday trip!